HEAR JESSE & JACK ON THE RADIO! CLICK ICON & GO GET YEAH YEAH DANCE ON ITUNES! GO GET YOUR COPY OF #YEAH YEAH DANCE ON CDBABY! CLICK SONG COVER & GET FREE COPY OF "IT'S ALRIGHT"
CLICK ICON & LEARN "FUNKY BEAT" LINE DANCE! 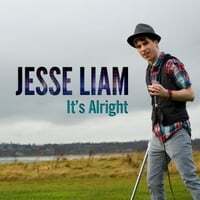 Listen & Buy Jesse's CDs! Jesse Liam Email Sign Up! © 2019 Jesse Liam . All Rights Reserved. Powered by HostBaby.